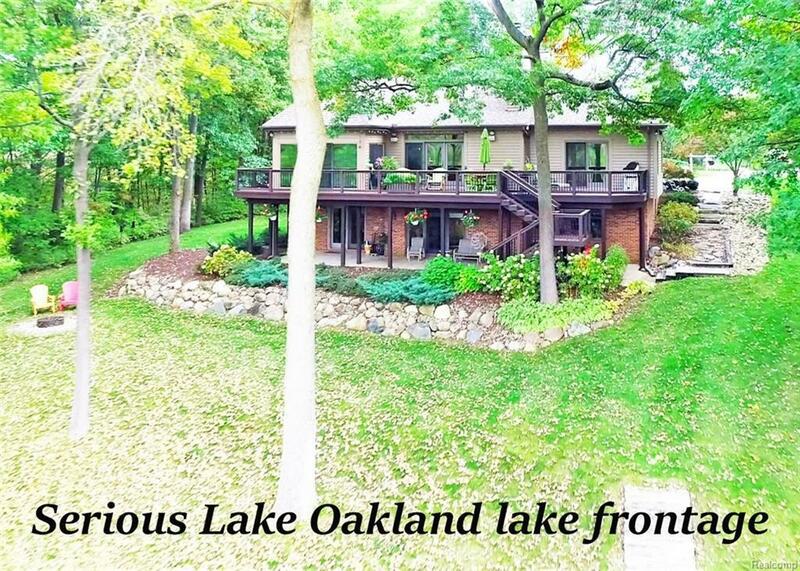 Pristine Lake Oakland ranch on cul-de-sac backing to private park land in Clarkston School district. New 40' permanent dock for your boats. 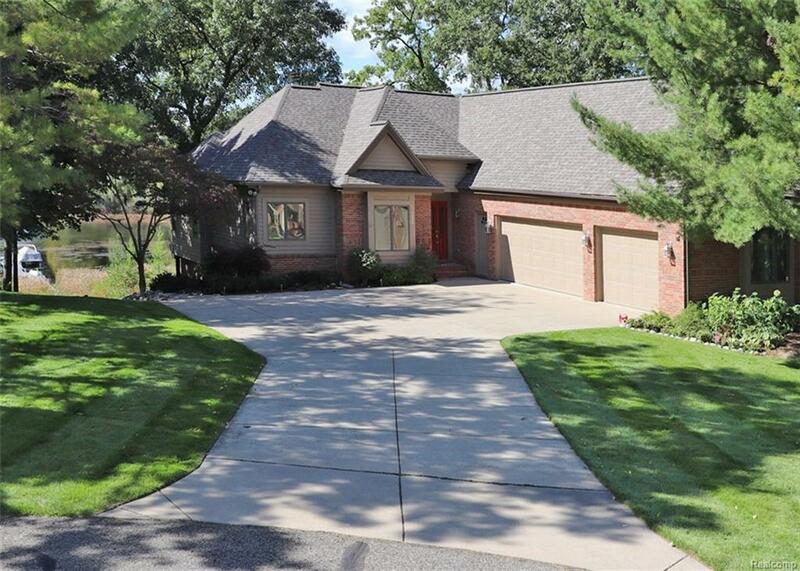 Custom built brick ranch with oversize 3 car heated garage. Open floor plan with soaring ceilings, gleaming hardwood floors and amazing views from every window. Dramatic stone gas fireplace accents great room with french doors to wrap around deck. Chefs delight in the updated kitchen with granite counters, tile backsplash and stainless appliances with dual ovens. First floor master suite has private balcony, walk-in closet, private bath with dual sinks, granite and tile. Main floor office with judges paneling and built in desk. Anderson windows & doors throughout with custom Hunter Douglas blinds. Spectacular 3 season sunroom. 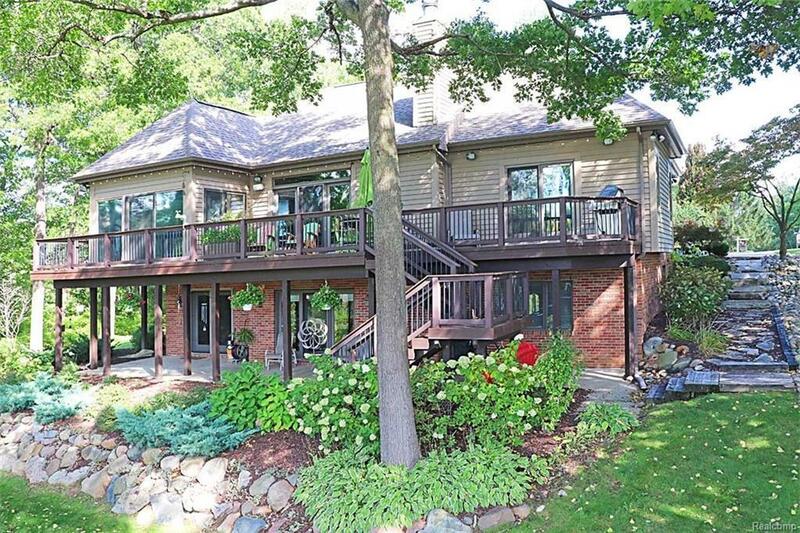 Professionally finished walk-out lower level perfect for entertaining! 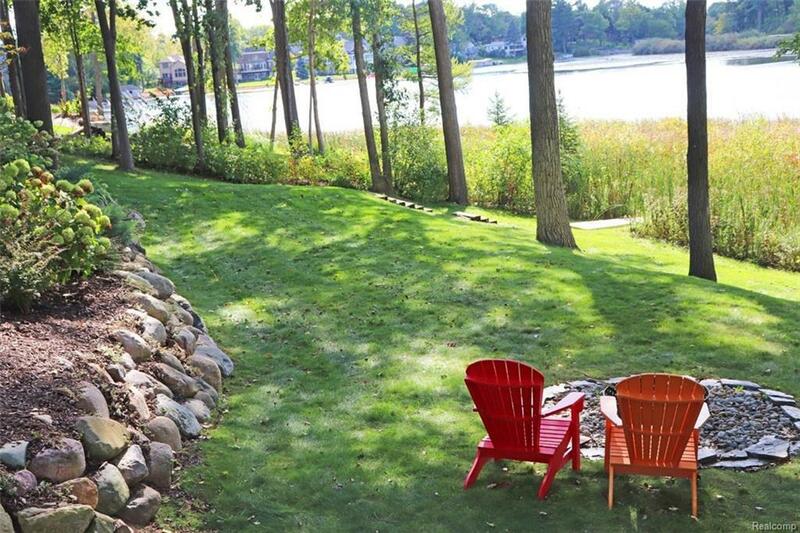 Less than five years: Roof, 2 furnaces/humidifiers, A/C, int/ext paint, trex decking, cedar dock, professional landscaping and carpet. A rare find.